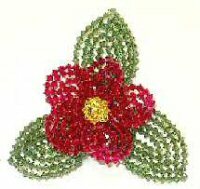 Swarovski Bead Flower Pins A pin made of all sparkling Swarovski beads is stunning. Each pin is about 4 1/4" (11cm) across. Email me to inquire about other colors. Click here to buy a finished pin. 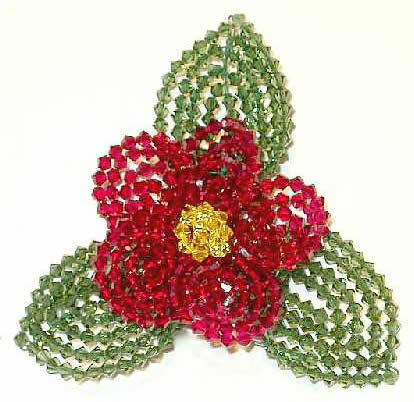 You can buy this pattern and make your own pin. 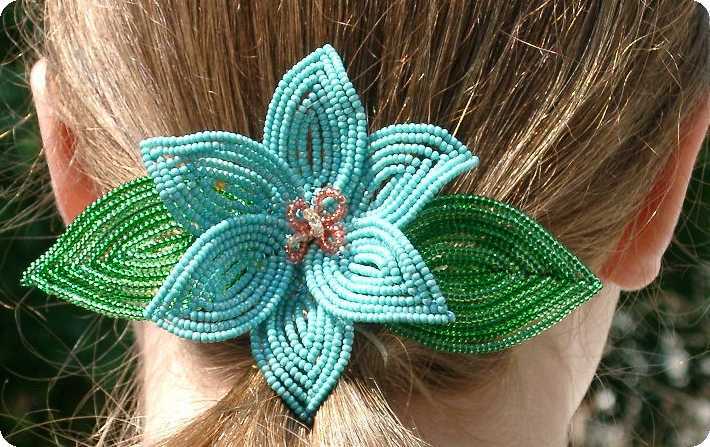 Beautiful Finished Hair Clips Finished hair clips, ready to wear for any occasion. Please inquire about custom colors and styles! Click Here to see all my styles.